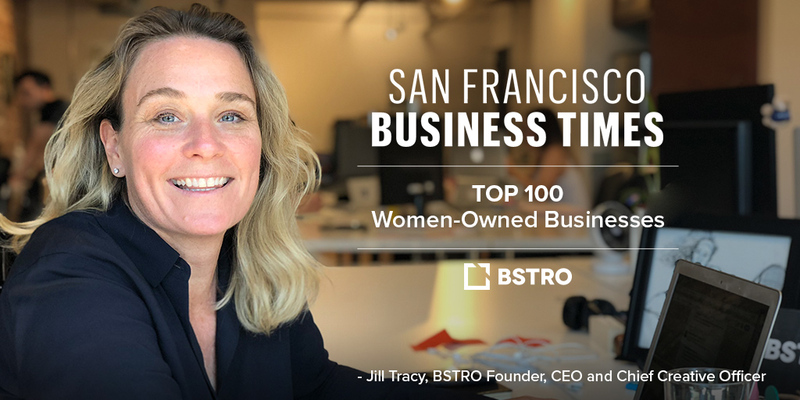 We’re thrilled to announce that BSTRO has been named a Top 100 Women-Owned Business by the San Francisco Business Times. The announcement was made in San Francisco at Women Who Lead, an event celebrating women’s achievements in business and leadership. BSTRO’s commitment to women expands well beyond the company’s ownership. In fact, 75% of the agency’s management team are women, and 60% of the development team are women. BSTRO is also certified by the Women’s Business Enterprise National Council.